Even though the sky was a startling bright blue and the setting sun was warm on Thursday, October 17, a few in-the-know Portlanders greeted Winter Welcome with open arms. The Samuel Smith brewery, established in 1758 in Tadcaster, England, supplies a plethora of delicious and classic beers to Maletis Beverage via Specialty Beer Importer Merchant du Vin. 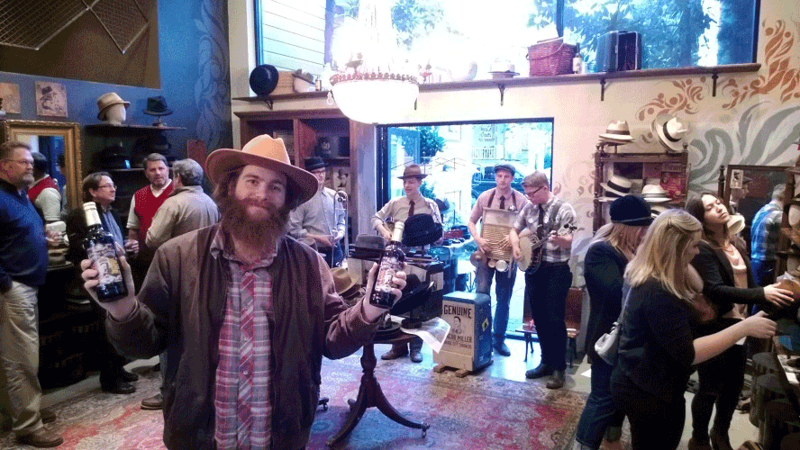 Area District Manager for Merchant du Vin, Tom Bowers poured samples at Goorin Bros. hats on NW 23rd amidst vintage music and much giggling as people of all sizes, shapes and ages tried on Goorin chapeaus.